When Vice President Joe Biden announced that he would not be running for president Wednesday, he exhibited exemplary grace and dignity. He inspired millions with his determination to help cure cancer, and illustrated why it was a true shame we'd never see a Biden presidency. However, amid the stirring messages of fighting inequality and improving child care, he may have also dropped some subtle disses at a would-be competitor. 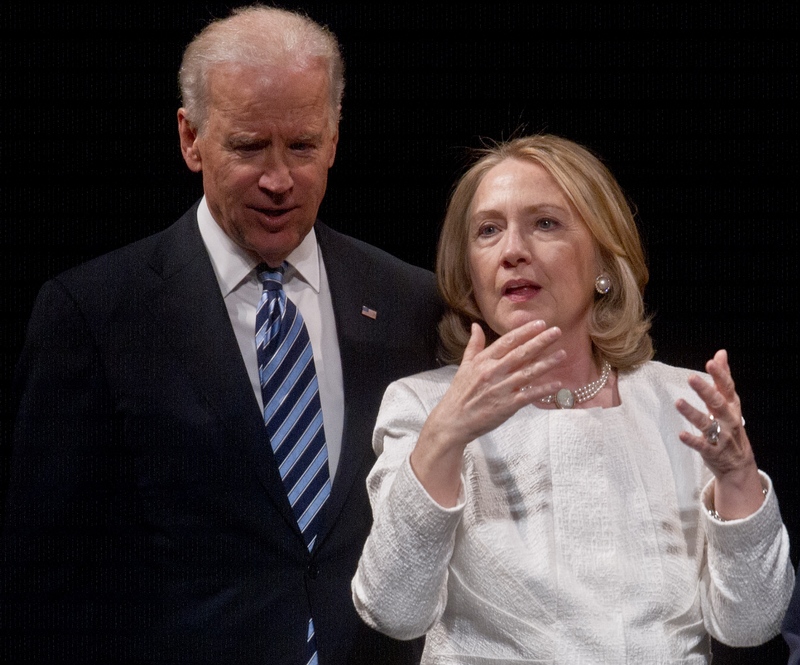 Biden appeared to indirectly criticize Hillary Clinton during his speech about not running for president. "But why? I thought they were friends," you might be thinking to yourself. And the answer is: exactly. Biden's speech was so much more than just an announcement that he wouldn't be running. He used the opportunity to outline his vision and his hopes for America, in a perhaps not-so-subtle nudge to whoever wins the Democratic nomination. At one point, he talked about a dire problem in American politics: the deep fracture between Democrats and Republicans. I believe we have to end the divisive partisan politics that is ripping this country apart, and I think we can. It’s mean-spirited, it’s petty, and it’s gone on for much too long. I don’t believe, like some do, that’s it naive to talk to Republicans. I don’t think we should look at Republicans as our enemies. They are our opposition, they are not our enemies. And for the sake of the country, we have to work together. In addition to the NRA, the health insurance companies, the drug companies, the Iranians — probably the Republicans. When looking at these lines side by side, one seems clearly like judgment on the other. Biden also emphasized the importance of carrying forward and building upon the work that the Obama administration has completed. In the last few months, Clinton has increasingly distanced herself from Obama's policies, opposing everything from the Trans-Pacific Partnership to his decisions on Syria and the deportation of immigrants. In light of these oppositions, Biden's message may have been another subtle dig — or a veiled plea — at Clinton. To many, this might seem like a surprising, out-of-character move on Biden's part. The vice president and former secretary of state have always seemed friendly in public. But sometimes, it's your friends whom you want to succeed the least. Think about it. Officially deciding to close the door on his campaign couldn't have been easy for Biden, especially after years of consideration and suffering a family loss. But what makes Biden's resignation even harder could be knowing how it'd indirectly help Clinton. What's unfolding between them taps into the classic psychological behavior that makes friends more competitive with each other than with strangers. According to a study conducted by the University of Michigan and University of Notre Dame, "Relationship closeness amplifies comparison concerns and thus competitiveness." As a result, "people feel more threatened by the success of their friends than by that of strangers." And what's more stinging than watching your friend succeed in reaching a lifelong dream you've tried to fulfill several times but had to let go of forever? It's no wonder Biden felt the urge to throw a few jabs; anyone would have done the same. But at the same time, don't assume that Biden pulled a Trump here. Being the class act that he is, Biden's main intention was not to slight her. He seems to be urging her, "If you're going to win this great opportunity, please don't screw it up."